The top 15 bars and pubs on Bloor St. Bars and pubs on Bloor St. range from microbreweries and concert venues to traditional neighbourhood pubs. Establishments in this area, which spans from the Annex to Bloor West Village, tend to have staying power in part because they gain a strong base of local clientele. But many are destinations in their owe right, offering a product or vibe unique enough to make it worth crossing the city for. Here are our picks for the top bars and pubs on Bloor St.
3 Speed is cozy spot that was one of the first on the Bloordale scene. Locals come for its backyard patio (complete with a wood burning oven), cozy atmosphere and always dependable lineup of food and drinks. It's not spot for fancy cocktails but it does boast a solid beer list. This bar was the epitome of cool when it opened back in 2011, but it's stayed a neighbourhood mainstay on account of its solid menu, daily specials, and top notch cocktails (that Boulevadier is still excellent). Hungry? You'll find inventive fare with a Mediterranean twist. 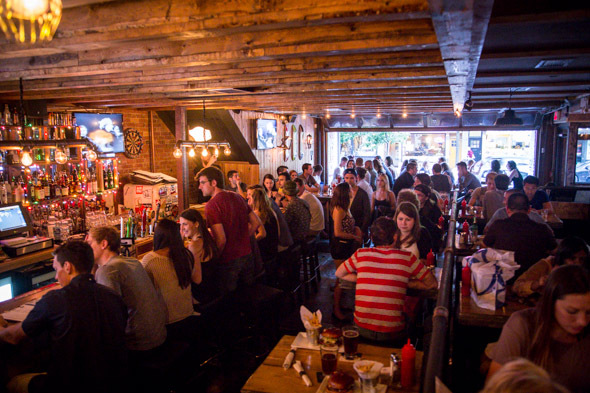 This Bloor West Village pub attracts a loyal following of neighbourhood folks. The main draw is the beer selection, which boasts 17 draught options, a number of which showcase local craft beers on a rotating basis. Food-wise the menu is all over the place, featuring everything from pad Thai to butter chicken to pulled pork sandwiches. 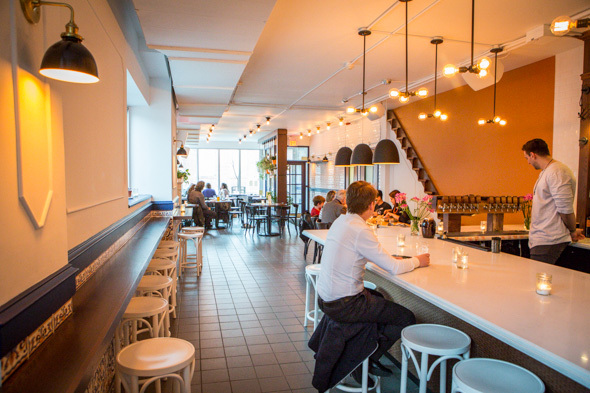 Burdock does it all with a bar and restaurant, concert venue, and on-site microbrewery. The comfort-food focus is on point and the beer list is spectacular. Some call it the "pineapple bar" after its exterior signage, though you're not going to find a whole lot of fruity drinks here. The cocktails are of the traditional bent, though you could probably ask for anything you want and one of the bartenders would make it. Food-wise, the charcuterie boards are the way to go. For a 78-year-old establishment, Clinton's sure knows how to show guests a good time. Think of it as a mohawk with a low-key bar and restaurant in the front and a venerable dance and concert hall in the back. Whether you stop by for greasy food, a local band or a '90s-style dance party, a night at Clinton's is always a good idea. Drift can almost get lost is the sea of surrounding bars that have transformed Bloorcourt/dale over the last five years or so, but it's got plenty of merits, the most notable being that it doesn't try to be particularly cool or trendy. The Annex location in this chain of premium dive bar offers all of its food items for $4.95. Pair them with beer, cocktails or shooters. If you're up for an adventure, you can take a group shot off of a ski. 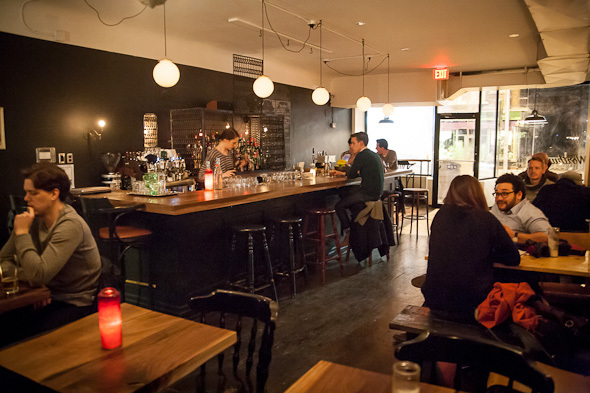 You can find this cozy, candle-lit space in the Junction Triangle. Feast on heightened bar snacks as you sip cocktails and craft beer. In the summer, you can take the fun outside on the Gaslight's Patio. This is a local favourite among High Park residents. It pairs an excellent burger, good beer selection a lovely rooftop patio. This is one of the better pubs on the western section of Bloor. 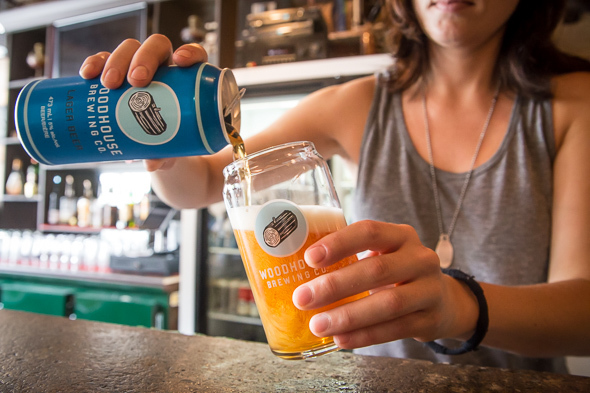 Located across from Christie Pits park, Northwood is a cafe by day and a romantic cocktail and craft beer bar by night. Spend an evening sipping handcrafted drinks or draught beer and then grab a bottle of the owners' signature Two Bears cold brew to revive yourself in the morning. This Bloorcourt bar has a large back room and features live music and weekly dance parties. When you get tired, there's a smokehouse BBQ menu filled with savoury treats for you to snack on. As its name suggests, Wenona harkens back to lazy days at the cottage. Its campfire-inspired menu is filled with simple dishes such as octo corndogs. With an extensive beer list, featuring many local favourite for you to choose from, you'll be feeling relaxed in no time. This Irish-style pub has a menu chock-full of made-in-house goodies inspired by the Emerald Isle. Irish beers, such as Guinness, Kilkenny and Smithwick's, are on tap along with local brands. If you're not up for a pint, you can always choose from one of the bar's signature cocktails. This unassuming beer bar is a nice place to spend time. The staff are always friendly, there's an obvious passion for craft beer and the bartenders are always up for helping customers decide what to order. What did we miss? Add your favourite Bloor St. bars and pubs in the comments. Writing by Amy Grief and Derek Flack.